Do You Need an Office to Succeed in Business? Do You Really Need an Office to Succeed in Business? For several years I thought that you needed an office to start a business. Somehow I had this subconscious idea that to start a business, you needed an office. A place to go to where the business “is”. Later on, as my company grew to over 40 employees in the Philippines, I’ve set up offices for other reasons as well. One, to make sure that I knew everyone was productive (coming into work each day) and two, to facilitate communication within our team. However, I noticed something strange. People would come into the office and sit at their cubicles, and then when they needed to chat with each other they would use Skype! Even if they sit next to each other, they still chat to each other through Skype. So much for needing an office. Later on, I created the Time Doctor software purely for the reason that I wanted to shut down the office and all its associated costs and needed software to tie it all in together. Can a startup succeed without an office? Actually there are many examples of successful startups that do not have an office. GitHub which currently employs 35 workers. Calixa Therapeutics, a drug development company that was built almost entirely virtual, with mostly part-time or contract staff. It was sold for over $92.5 million. KISSmetrics, a successful online metrics company. Wildbit, which sells a bunch of web products such as Beanstalk and Postmark. They did move into an office. Is the expense of an office really worth it? It’s all relative to the size of your revenues and the exact nature of your business. Your situation is very different if you have revenues of $100k per month compared to a start-up with little revenues. If you’re a startup, every dollar counts. Is spending $1k per month for an office the best use of your money? Is having an office actually going to lead to your company to getting more sales? If the answer is “no” then consider carefully if you are spending money wisely or if there is something more productive you could spend it on. How do you manage your business effectively without an office? There are four main perceived “benefits” of having an office. You need to make sure you have replacement for these if you are running a virtual business. A 2011 study by Stanford University showed that teleworkers work harder and are more productive than people working in an office. 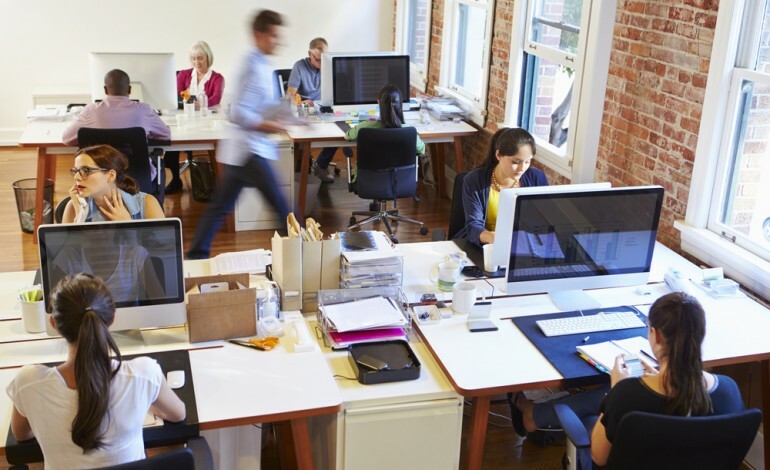 So it’s not necessarily true that an office will make you more productive. Also you can of course use software such as ours to help make sure that your team is productive. You can hire a serviced office in the best location in your city for a fraction of the cost of a “real” office. This should be prestigious enough for most businesses! This is potentially the biggest issue with working from home. Some people can feel isolated and emotionally disconnected. To truly get around it you need to make sure that you have a great community of friends and family around you and that you are meeting them often. For many people when they start a business, the first thing they feel like they need to do is get an office. A sign of a physical presence. Somehow the office makes the business feel “real”. This is a concept that I believe will die in the 21st century. A business with an office is not any more real or valid than a business without an office. So in summary: Don’t waste money on an office unless you REALLY need to! Having a physical office shows legitimacy, and may help you earn the respect and loyalty of your earliest clients. There are good steps on starting up and succeeding without an office. These steps are essential for everyone. Virtual office is a good start-up for a new business. We are software company in India, i need to sell our software in anywhere… how to proceed our business and get links to sell our software. That sounds great Rob, however if I am starting a business, what address should I use on my paperwork, bank accounts, licenses, etc? Don’t want to use my home address. You can get a local mailbox if you are not worried about credibility or you can get a virtual serviced office if do need a bit more credibility. With a serviced office you always can meet clients in the building if you need to.